What benefits can be found with Autism Treatment? Autism treatment includes speech therapy and occupational therapy as an integral part of care. These services should be carried out by qualified speech-language pathologists and occupational therapists who are experienced in working with children diagnosed with Autism. Learn about how speech-language pathologists help these children. To start, you may want to read more about autism, its definition and symptoms. Autism “affects a person’s ability to communicate and interact with others” (Autism Society of America), and can include such symptoms as having trouble talking about their feelings, having delayed speech and language skills, and repeating words or phrases over and over. Once a diagnosis of autism has been made, experts agree therapy and treatment should begin immediately. Because patients with autism have difficulty in communicating, and these difficulties span a wide range, the benefits of working with a Speech-Language Pathologist (SLP) and Occupational Therapist (OT) are significant. A speech-language pathologist can diagnose the type of communication disorder that a child has, and then suggest a plan of treatment. The occupational therapist can do the same for occupational skills including activities of daily living and motor skills. The correlation between communication, ADL’s and successful social interaction is self-evident, and a child who learns to communicate effectively is better able to form relationships. Research shows children who undergo speech-language therapy and occupational therapy may make significant gains in these areas. There are many research based therapeutic approaches that speech-language pathologists and OTs can utilize to help children who are diagnosed with autism. Most of the approaches include increasing a child’s joint attention and social referencing. Joint attention occurs when the child shares interest in an object or event with another person. This can be seen by the child’s visual attention to an object, and also to another person who is interacting with the child and object. Social referencing refers to the child showing interest in what another person is doing. These are the foundational skills for social skills, and communication. Therapeutic approaches also include methods to increase a child’s language including vocabulary, grammar, use and understanding of language. Techniques help children to attend, and learn the basics for application to conversation. There are a variety of methods to achieve speech and language goals and occupational goals with children who are diagnosed with autism. 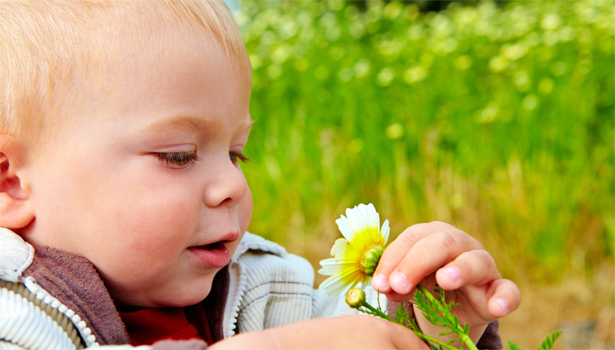 At Baron Therapy Services, LLC we work with each child as an individual. Through discussions with parents / caregivers, and assessments, therapists can determine which methods might be best for your child. Examining data and outcomes supports the decision making process.